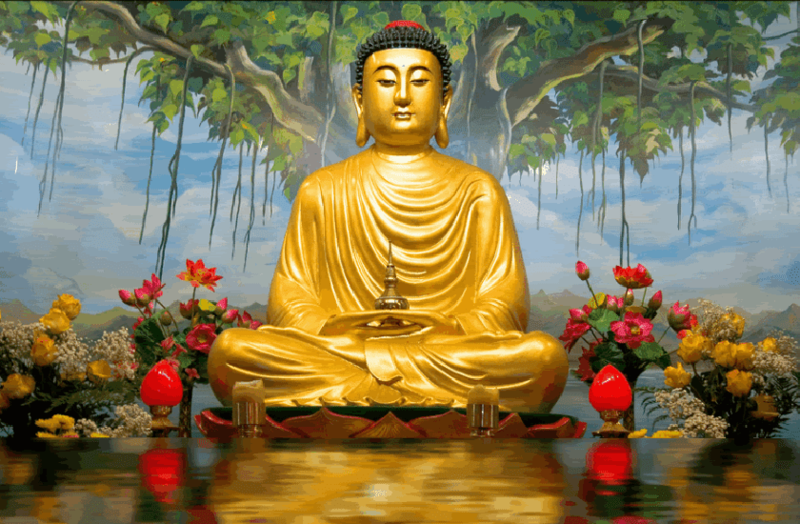 Buddha Purnima (Boddh Jayanti) is the most important festival in the Buddhist Community. Buddha Purnima is celebrated for the birth of Lord Buddha and its the same day when Lord Buddha (Bhagwan Mahavir) attained Nirvana. So today I have written some beautiful quotes and status for Buddha Purnima in Hindi. And before his Amritav he gave some Updesh to their followers (Pupil). I hope you will enjoy these popular buddha jayanti status in Hindi and share them with your friends and followers on facebook and whatsapp. Sabhi bure karya man ke karan utpanna hote hai, agar man parivartit ho jaye to kya anaitik karya reh sakte hai?? सभी बुरे कार्य मन के कारण उत्पन्न होते हैं. अगर मन परिवर्तित हो जाये तो क्या अनैतिक कार्य रह सकते हैं? स्वास्थ्य सबसे बड़ा उपहार है, संतोष सबसे बड़ा धन है, वफ़ादारी सबसे बड़ा सम्बन्ध है. तीन चीजें ज्यादा देर तक नहीं छुप सकती, सूरज, चंद्रमा और सत्य. Chahye aap jitne pavitar sabd padh le ya bol le, vo aapka kya bhala karenge jab tak aap unhe upyog me nahi laate?? चाहे आप जितने पवित्र शब्द पढ़ लें या बोल लें, वो आपका क्या भला करेंगे जब तक आप उन्हें उपयोग में नहीं लाते? आपके पास जो कुछ भी है है उसे बढ़ा-चढ़ा कर मत बताइए, और ना ही दूसरों से इर्श्या कीजिये. जो दूसरों से इर्श्या करता है उसे मन की शांति नहीं मिलती. So these were few popular Buddha Purnima status in Hindi and Bodh Jayanti hindi quotes, few beutiful updesh in hindi. Don't forget to share your collection in the comment box below and share this collection with your friends on Faceboom and Whatsapp Messenger and other social sites. We will be adding more status till then read our best hindi status collection.